Violist Ryan McKasson, who studied his instrument at the University of Southern California, and guitarist Eric McDonald, schooled at Berklee in Boston, bring innovation and spontaneity to traditional forms, to create an environment of their own design that transcends boundaries and appeals to all sorts of music lovers. 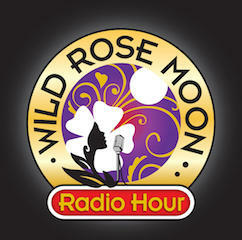 Listen for their intimate radio show performance on the Wild Rose Moon Radio Hour, Monday night at 9:00 on 88.1, WVPE. Recorded live, The Wild Rose Moon Radio Hour is a production of The Wild Rose Moon, a non-profit, community arts foundation and performance center in Plymouth, Indiana. With host and WRM creator George Schricker, Music Director John Bahler, and a wonderful crew of local volunteers, the show captures the spirit of a community of music that is at the heart of the mission of the Wild Rose Moon. It is engineered, recorded, and produced by Nate Butler, Nimble Wit Productions, Goshen, Indiana.